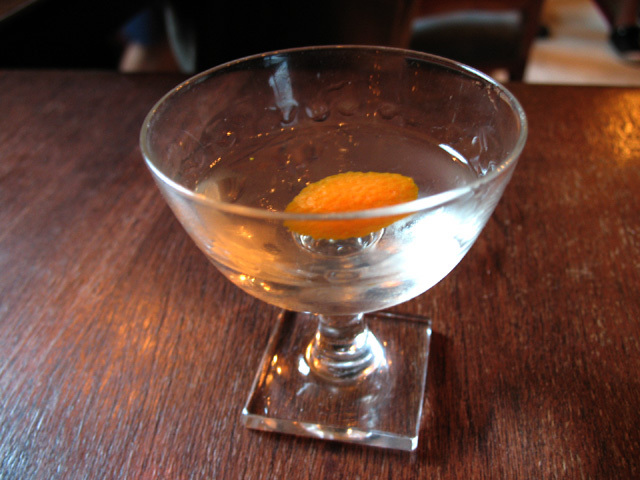 Third in a series recapping the 2010 Manhattan Cocktail Classic. After the overindulgence of the Manhattan Cocktail Classic Gala on Friday night, it was time get a little more serious on Day Two of the MCC with…well, more drinking. Fortunately, the day’s seminars were toned down from the Gala’s massive scale; many of them were intimate experiences in which proprietors opened their doors, poured a few drinks, and shared their expertise. On this beautiful Saturday I made my way from the East Village to Brooklyn for Stories from Behind the Bar: Clover Club, a two hour session hosted by Clover Club Beverage Director Julie Reiner. As co-owner of the acclaimed Flatiron Lounge, Pegu Club, and Clover Club, Reiner has been an influential figure in the New York cocktail scene for the last decade. The Clover Club cocktail program is focused on classics, featuring Reiner’s signature style of high quality and fresh, seasonal ingredients. The voluminous menu features dozens of cocktails, divided into Families such as Sours & Daisies, Collins & Fizzes, Swizzles, Royales, and Juleps & Smashes. ~Motto of the original Clover Club, Philadelphia. 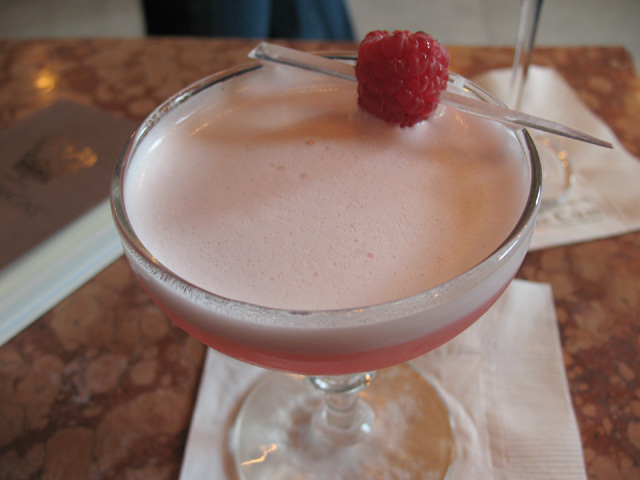 After entering from Smith Street, I was led through the main room and bar, past a velvet curtain and into The Parlor, Clover Club’s elegantly appointed back room. 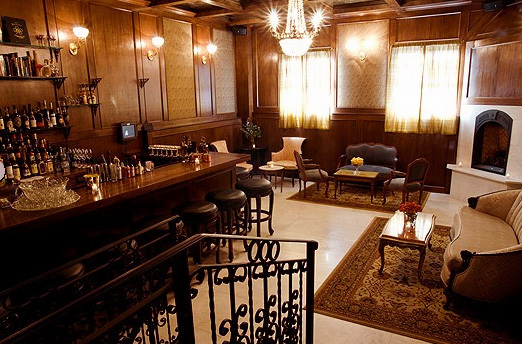 With its marble fireplace, mirrored ceiling, and vintage furniture, The Parlor is more akin to a comfortable Victorian living room than a renowned cocktail lounge. No sooner had we arrived than we were presented with a Clover Club cocktail: Plymouth Gin, dry vermouth, house-made raspberry syrup, lemon juice, egg white, and a raspberry garnish. As Reiner welcomed us, she explained that she thought that the Clover Club would be an appropriately bright, refreshing drink to get the day started after a long night at the Gala. Appreciative murmurs were heard around the bar as we sipped the signature cocktail. Reiner then introduced Sean Harrison, Master Distiller for Plymouth Gin, which was sponsoring the event. 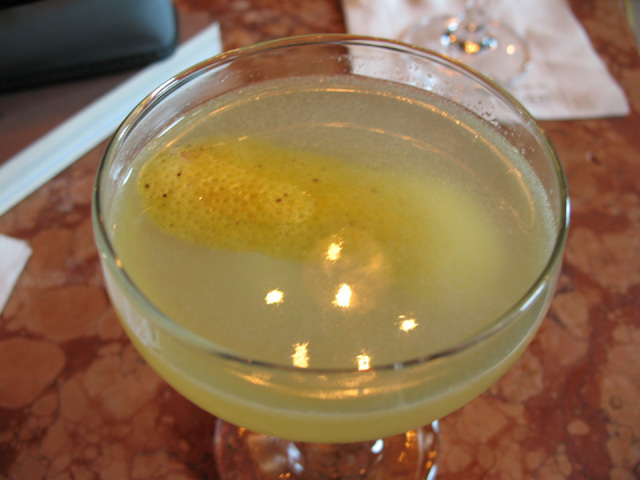 Reiner extolled Plymouth’s versatility, noting that its subtle flavor profile makes it her go-to gin, and the featured spirit of the cocktails throughout the session. Next, Reiner demoed the Gin Blossom, a crystal-clear and aromatic cocktail, while she looked back on how Clover Club came to be. Stir with ice. Strain into a chilled coupe and garnish with an orange twist. *At Clover Club the housemade orange bitters combines Regan’s and Fee Brothers. 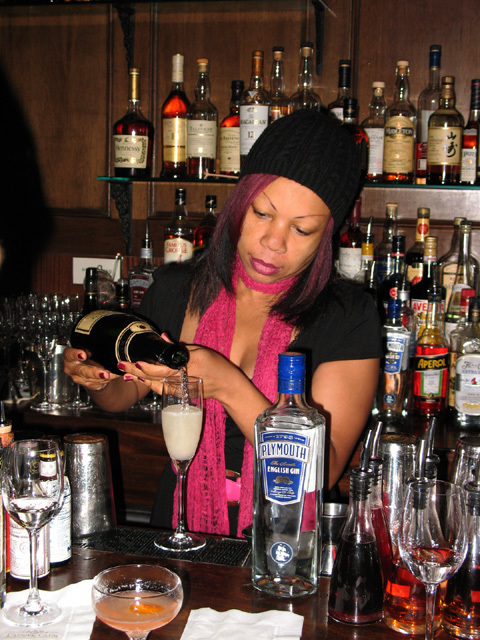 Reiner began by comparing Clover Club to her first bar, the Flatiron Lounge, which reflected the person she was when it opened in 2003. Where the sophisticated, Art Deco-inspired Flatiron was strictly about cocktails, Reiner thought her new bar should have food, as well. While her previous two ventures were located in Manhattan, Reiner lived in Brooklyn, where many top bartenders and fellow bar owners (e.g. Phil Ward of Mayahuel and Death & Co.) also lived. She was considering opening a bar in Brooklyn with her business partners, but sought advice before committing. 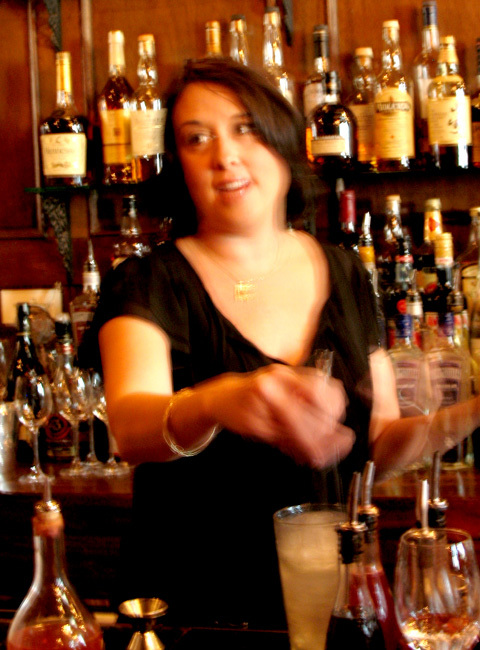 Among those she asked was cocktail historian David Wondrich, who encouraged her to open in Brooklyn. 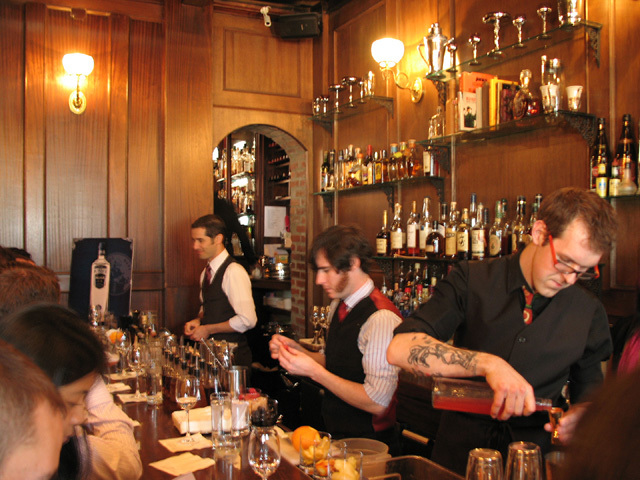 The fact that Wondrich lived two blocks from where Clover Club would open had everything to do with his recommendation; he wanted a local hang. Clover Club’s interior design developed organically after an 1890s mahogany bar was sourced from the coal mining town of Sugar Notch, Pennsylvania. For cocktail service, Reiner would use pieces from her vintage glassware collection to match the dark wood, antique sconces, and luxe wallpaper. Once Chef Craig Rivard was on board, the dynamic evolved such that his food would become an integral part of Clover Club. 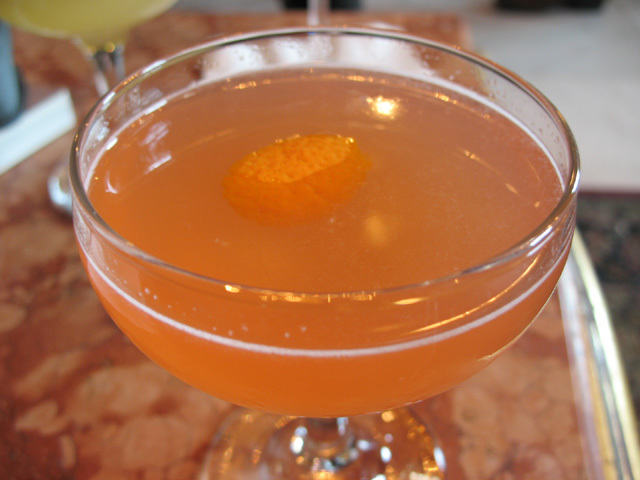 Within the year after Clover Club opened in 2008, other Brooklynites followed Reiner’s lead with local cocktail dens of their own, such as St. John Frizell and his Fort Defiance cafe-bar in Red Hook. Reiner then handed off to her team, introducing each of the bartenders before they demoed cocktails and told their own stories of how they ended up at Clover Club. First up was head bartender Brad Farran, who also sang the praises of Plymouth Gin before talking about some of the thought processes behind the Clover Club cocktail program. 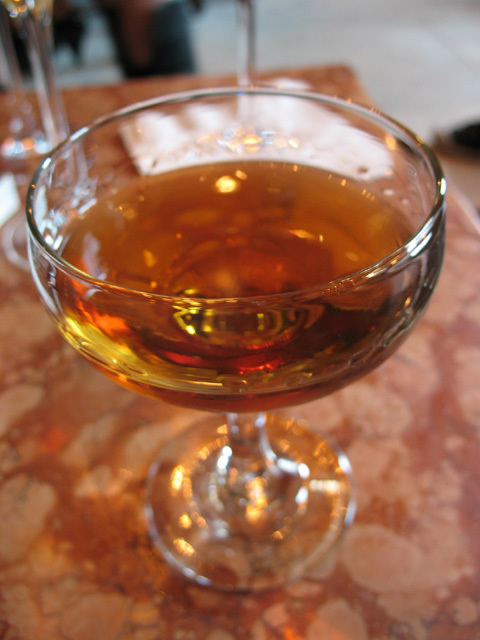 Farran then prepared The Cloister Cocktail, a classic that he was once told originated in Jones Complete Bar Guide (1977). Farran employed his trademark attention to detail and obsession with cocktail archeology to support his contention that The Cloister had, in fact, been mentioned decades earlier. His research led him to discover The Cloister (albeit with a different recipe) in Ted Saucier’s Bottoms Up (1951). Shake with ice and strain into a coupe or cocktail glass. Garnish with a grapefruit twist. Of the backstories told that day, perhaps the most appealing was that of Franky Marshall, who was initially hired as a cocktail server after answering a Craigslist ad. Reiner, who is passionate about promoting women behind the bar, encouraged Marshall to take on her first-ever bartending gig at Clover Club. The rest, as they say, is history. Shake and strain into a champagne flute. Top with champagne. Garnish with a lemon twist. To conclude the session, Nick Jarrett (who also tends bar at Dram in Williamsburg) offered The Bijou, or “jewel” in French. While the Bijou is traditionally made with equal parts gin, vermouth, and Chartreuse, Jarrett takes it up a notch with the addition of the brawny (57% ABV) Plymouth Navy Strength. The Bijou somewhat resembles a Negroni, which it predates; the use of Chartreuse rather than Campari softens the Negroni’s bolder profile. And with that, our Clover Club session was over. As we left The Parlor, servers brought in some fantastic-looking Liquid Brunch items, which alas were not part of the event. 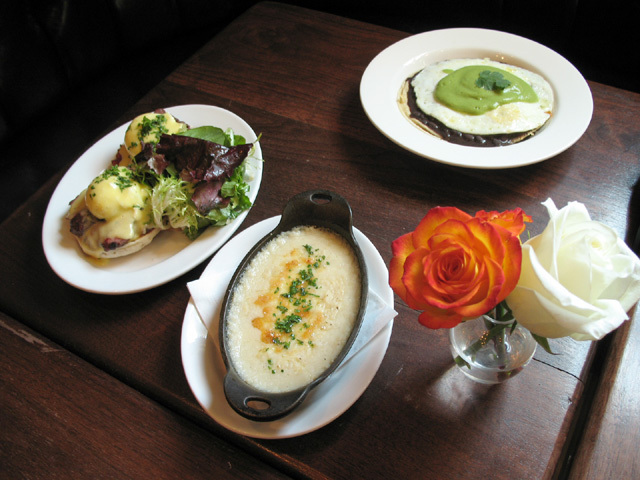 Chef Rivard’s Savory Bites are something I look forward to exploring another day. Mr. Wondrich, you’re a lucky man. Many thanks to Katty Biscone for sharing her notes, and to Damon Dyer for sending his Adams Street Shuffle recipe!